Pallet racking is built from industrial grade steel, but like anything, it is susceptible to damage. This is especially true due to the fact that pallet racking is constantly loaded and unloaded using mechanical handling equipment such as forklifts. Even seemingly minor damage to a pallet racking system can lead to a racking collapse. That is why it’s so important to regularly conduct pallet racking audits to inspect your pallet racking for damage. What Is A Pallet Racking Audit? A pallet racking audit is a thorough inspection and evaluation of the condition of the pallet racking in order to identify any damage to the system that may be causing a risk to safety. Regular racking inspections can save you tens of thousands of dollars in potential damages and inventory loss, and can even save lives. Do You Need A Professional Racking Audit? According to Australian Standards for steel storage racking AS4084:2012, “inspections shall be carried out on a regular basis, and at least once every twelve months.” However, you can conduct safety inspections in-house if you are familiar with the standards, and have a high level of competency and knowledge when it comes to pallet racking. So why hire a professional to perform a racking inspection? There are a lot of unaffiliated racking inspectors that will provide a service that actually goes against the standards. This can put both your inventory and everyone working in your warehouse at risk. In fact, according to Australian standards, the manufacturers of the pallet racking system are the only ones allowed to give out the weight loadings for the system. So it is highly recommended to have the pallet racking manufacturer perform your racking audit. Hiring the right professional to inspect your pallet racking system means that you will get a detailed report of the condition of the racking including a thorough description of any damage you may not have been aware of, as well as a list of items that need to be addressed and fixed. They will also inform you and your staff of any issues and ensure that the rack is being used properly and is not overloaded. Rust or corrosion of the metal components can indicate that the metal beneath may potentially be weakened. Forklift drivers aren’t likely to report collisions with the racking. Scraped paint can be an indication that a collision has occurred and should be investigated for further damage. Racks that are skew or out of alignment (leaning forwards, backwards or to the side) are an indication of damage and possible reduced load capacity. Damage to an upright, no matter how minor it appears, can reduce the capacity of the racking in that section. Damaged uprights should be repaired or replaced as soon as possible. Remove and replace any column protectors that have been damaged and check the upright behind it for any damage. Damaged or missing floor fixings should be immediately replaced to maintain the structural integrity of the pallet racking system. Overloading often can’t be judged at a glance, however, repeatedly overloading pallet racking will lead to a racking collapse. Ensure that racks are only loaded in accordance with the load capacities provided by the manufacturer. Although beams naturally deflect beneath a load, beams should not remain deformed when unloaded. If the deflection does not disappear when the beam is unloaded it indicates that the beam has been damaged through overloading or impacts, and should be immediately replaced. Beams that have superficial damage such as dents, dings or scraped paint should be further inspected for structural damage. Structurally compromised beams must be immediately replaced. Ensure that there are no missing connections (bolts, clips, or attachment pins etc.). Replace any missing connections. Replace any broken or damaged connections and tighten loose ones. Inspect for further damage to the beams and uprights where connections are damaged or have come loose. MACRACK have been manufacturing quality pallet racking systems in Australia for over 30 years. Our experienced team understand the full engineering of a racking system and can accurately determine the difference between superficial and structural damage. 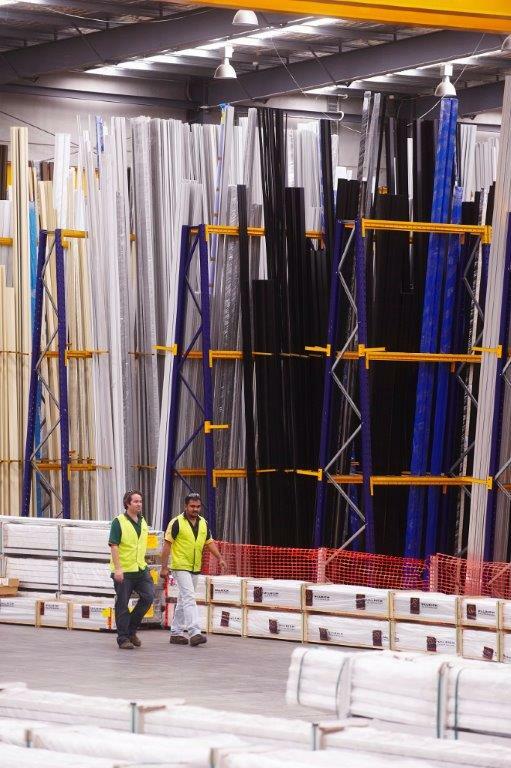 For quality, comprehensive racking audits at a competitive price, contact MACRACK on 1800 048 821.